Athens, Ga. – The University of Georgia’s Archway Partnership and College of Environment and Design are celebrating the seventh anniversary of their collaborative relationship with an exhibit and reception Aug. 28 from 4:30-6 p.m. in the main hall of the Jackson Street Building, located at 285 South Jackson St. on UGA’s North Campus. The annual Archway Partnership/CED Summer Internship Exhibit will be on display through Sept. 26. The exhibit will showcase the work and design recommendations of 18 CED graduate and undergraduate students who worked with Archway Partnership communities in Candler, Habersham, Hart, Sumter, Pulaski and Washington counties this summer. 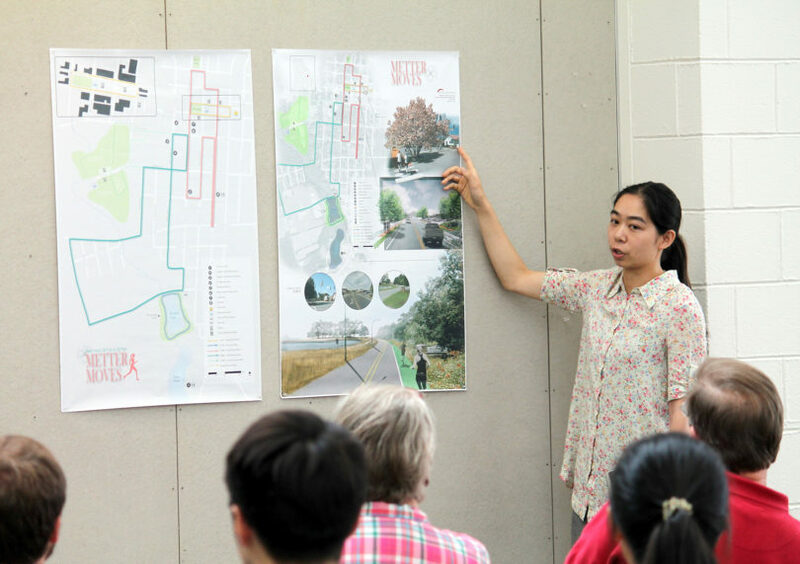 The students worked on landscape designs, planting plans, building renovations, trail design, streetscape design, neighborhood and regional revitalization and master plans for government agencies, civic leaders and community members. Specifically, some examples of projects included signage for entryways, walking trails around downtowns, way finding signage for communities and playgrounds for neighborhoods. Through this partnership, Archway and CED have worked to extend the university’s knowledge and expertise to Georgia counties facing significant issues related to economic and community development. To date, approximately 215 projects have been completed by more than 150 students. This event is free and open to the public. Parking is available in the North Campus parking deck. A Public Service and Outreach unit of the University of Georgia, the Archway Partnership is an initiative that connects communities in Georgia with university resources to address the state’s most critical community, economic and development needs. For more information, see http://www.archwaypartnership.uga.edu/. More information about the College of Environment and Design can be found at http://www.ced.uga.edu/.